Persist. Nanay Rowena Manalo’s triumph in the 2017 Citi Microentrepreneurship Awards is proof that persistence is key to success. These are the words of wisdom of Nanay Rowena Manalo, the Sustainable Business Awardee of the 2017 Citi Microentrepreneurship Awards, when asked what advice she can give to new entrepreneurs. She speaks every word from her heart, because she herself held on to God and never gave up – and that’s one reason behind the success of her driftwood and events styling business today. 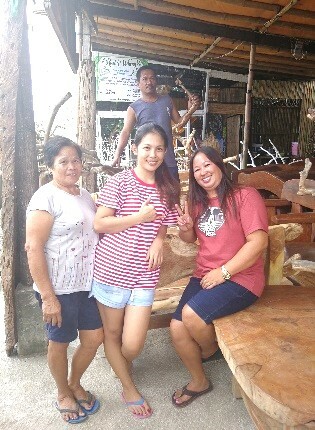 Together with her husband and business partner, Tatay Roel, Nanay Rowena has been in the driftwood business since March 2010. 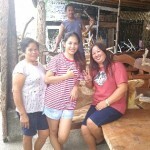 Their friend, who worked as the attendant of a driftwood store within the Longos town of Bacoor, shared with them that his employer is closing the business due to poor sales. He offered it to them, but Nanay Rowena was initially hesitant, for fear that running the business will require a huge capital. Their friend admitted it does require a considerable investment, but pointed out the availability of creditors in their area, and encouraged them to seize the opportunity to continue the business. “Nung March 2010, bibitawan na ng amo niya ang kahoy na business, ipinasalo sa amin,” Nanay Rowena said. 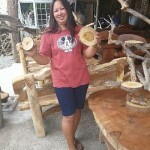 They paid Php 6,000 for the cost of all the driftwood in the shop. 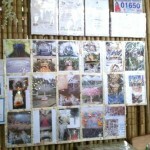 The former business owner also shared with the couple his suppliers and buyers for his products. 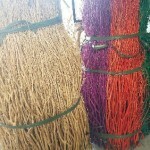 Months after their acquisition, a man riding in a taxi dropped by their store and asked if he could buy some of their driftwood. During their transaction, the man asked for their help, saying he has an event where he needs a large amount of driftwood. 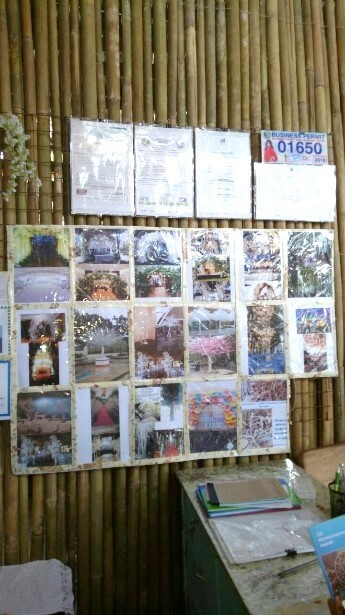 Photos of their driftwood used in events adorn the bamboo wall of their new store. This marked the beginning of the couple’s foray into events styling, which eventually became their unique selling proposition. 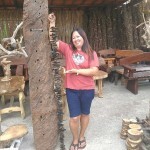 Unlike other entrepreneurs who only sell driftwood, Tatay Roel and Nanay Rowena offer a comprehensive package: they not only sell driftwood but also accept event styling jobs using their driftwood. 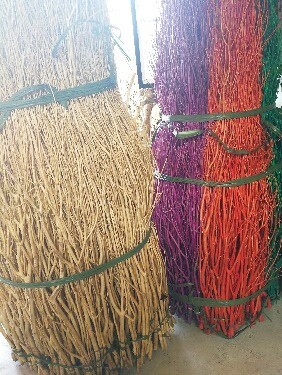 These twigs came all the way from Bicol. The colored ones on the right have been dyed. 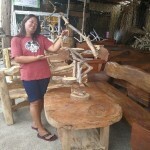 Their driftwood are sourced from barren trees from different provinces such as Bicol, Quezon, Tagaytay, Antipolo and Laguna. 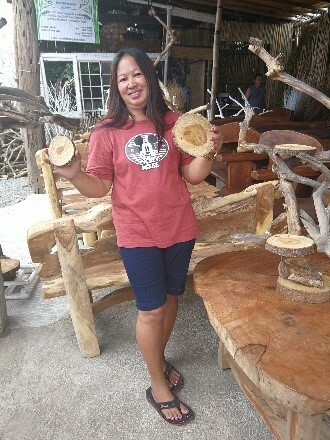 Instead of leaving them where farmers might engage in kaingin or slash-and-burn practices, these barren trees’ trunks and branches are chopped to make beautiful and earth-friendly products. 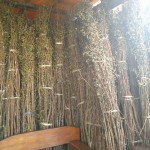 The very first event where they supplied their driftwood to was none other than the wedding of two of the country’s most recognized singer-celebrities, Regine Velasquez and Ogie Alcasid, in December 2010. 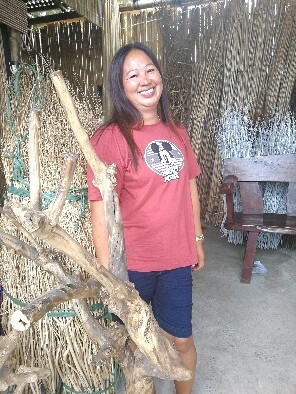 “Sa amin po lahat yung design na twigs, kay Sir Teddy ang flowers,” Nanay Rowena proudly shares their contribution to the celebrities’ wedding. She credits the prominent flower and events stylist, Teddy Manuel, as their first client who introduced them to the event styling business and taught them the basics of event styling. He was that taxi passenger who ordered a large amount of driftwood from them way back in 2010. 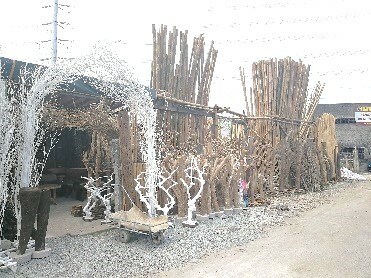 One year later, they supplied the driftwood for two more celebrity weddings, that of Fil-Am boxing champion Nonito Donaire held in Alabang, and actress Jolina Magdangal to musician Mark Escueta in Tagaytay. The 41 year old entrepreneur may have had her share of celebrity clients, but her humility and preference for the simpler things in life remains. Simple joys. Nanay Rowena never dreamed of an extravagant lifestyle. She holds two chopped pieces of an acacia tree in this photo. Nanay Rowena treats her workers like family. With her are three of her loyal workers, Romulo Villa, Cynthia Reonal and Nanay Emma. Aside from her simplicity, Nanay Rowena’s genuine compassion for her workers was evident throughout her interview. She values her relationships with her workers and treats them like family. 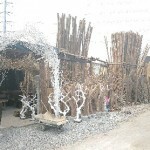 Their 10 all-around workers – they make the driftwood products and install them during events – are fed four times a day for free, whether or not they have an event styling job that day. Tatay Roel and Nanay Rowena also shares with them the styling techniques they learned from event stylists. Their two attendants, one on each of their stores located within Bacoor, Cavite, are also provided the same generous accommodations. Whenever any of th eir workers approach them and ask for assistance, they give it. Quality benches. 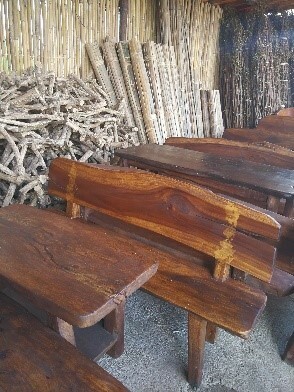 Her workers made these benches out of mahogany wood. Their kindness to their workers, hard work and persistence paved the way for God’s blessings to flow. At the time of her interview, the third floor level of Nanay Rowena’s house is being constructed. She now has three vehicles, one ELF Racal van, one Mitsubishi Lancer van and her newest, an Isuzu Fuego. The first two cars serve as her delivery vans, while the last is for her family’s private use. Since 2015, all their children – 16 year old Joshua, 10 year old Justin and nine year old Jerald – have been attending the La Vlaize Integrated Science School, a private institution, in their city of Bacoor. For the garden. 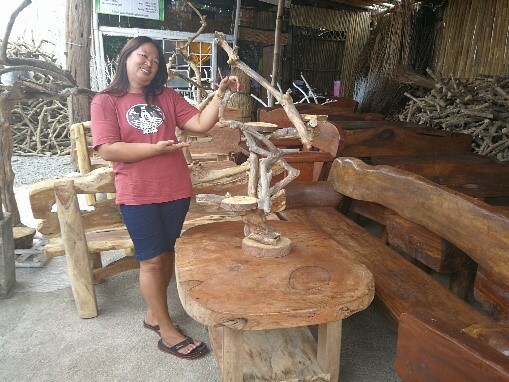 Nanay Rowena shows off a plant stand made from the branches of a coffee tree. But as with other entrepreneurs, their journey towards success had its fair share of difficulties. During the early 2000s, Nanay Rowena was running a small sari-sari store at their home to augment their household income. Every night, she would join Tatay Roel as he drove a passenger jeepney along the Zapote to Tanza route. In the mornings, she worked as a laundry woman. But what Nanay Rowena considers the most challenging experience she had as an entrepreneur happened in 2014. Around the time of their separation, a councilor in their town encouraged her then-solo operation of the driftwood business, telling her to put up a store on the councilor’s property. Their partnership was successful, allowing them to buy their own delivery vehicle. But after more than one year into their partnership, the councilor told her they should split the profits and go their separate ways. One stop driftwood shop. 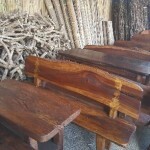 Different wood products on display outside Tatay Roel and Nanay Rowena’s third store. Tatay Roel returned to his family in 2015, and has been Nanay Rowena’s business partner since. Her brief experience as a single, entrepreneur Mom betrayed by a former business partner taught her valuable lessons that guide her in running their business to this day. It also woke her up and rekindled her relationship with God. 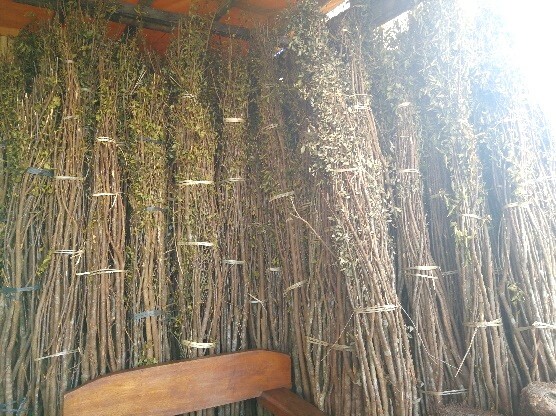 These branches from patalsik trees will later be made into Christmas decors. “Tibayan ang loob. Magpakatatag. Yung problemang dumarating, malalagpasan din iyan. Kaya lahat ng naninira, balewalain, kasi nakakasira lang iyan ng negosyo. Sobrang nakatulong itong karanasang ito kasi parang ginising ako ni Lord. Hindi ako nasimba noon. Puro business ako. Parang kinatok Niya ako,” Nanay Rowena openly shares. Nanay Rowena plans to continue running their business utilizing the principle that has significantly contributed to their success: developing and nurturing positive relationships with her workers and clients. She believes entrepreneurs must love and treat their customers and staff as their friends in order to be successful. Love your people. Nanay Rowena’s success is partly due to her genuine love for her clients and workers. 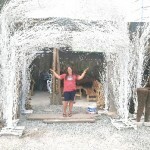 She poses under the white arches they made from mayapi trees in this photo. From scrap to curtain. 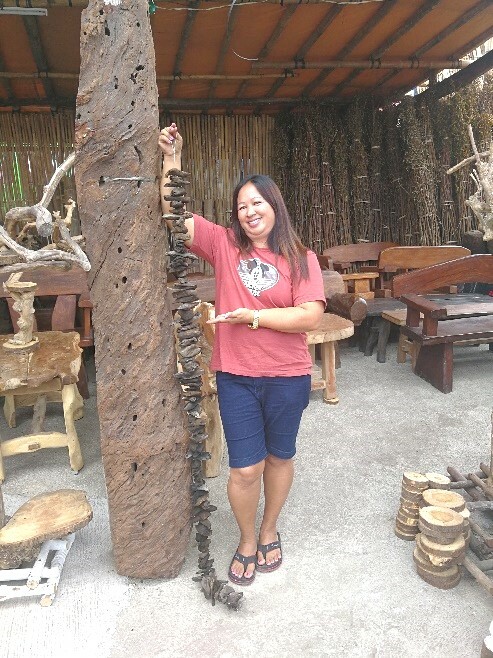 Nanay Rowena shows off their wooden curtain made from scrap wood. Nanay Rowena’s goodness to the people around her is paying off. Her workers are very loyal. Her family is complete and together. And her expanding business is gaining recognition, particularly after she successfully bagged the Sustainable Business Award during last year’s run of the Citi Microentrepreneurship Awards. She never expected to win in the prestigious competition, and her reaction upon learning she did is priceless. When she was reading the letter informing her of her victory, she kept on saying, “Congratulations? Ano ito? Para saan ito? Totoo ba ito? Nanalo ako?” She thought it was a joke. “Napakalaking puhunan po talaga nito sa akin, hindi ito basta-basta,” she said, referring to her huge cash prize. She used that money to rent the space beside Bali Garden, a restaurant and events venue along Longos, Zapote V road in Bacoor, Cavite, where they also serve as event stylists. This space is their third store within Bacoor. Nanay Rowena counts her family and God as her inspiration. Ten years from now, she envisions an even more successful business with a larger international market. 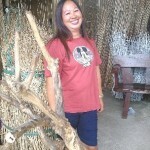 She proudly shared that her driftwood has already landed on foreign soil. Last December 5, 2017, they sent a shipment of their driftwood to Saudi Arabia, and on the 16th of that same month, to Korea. New office. 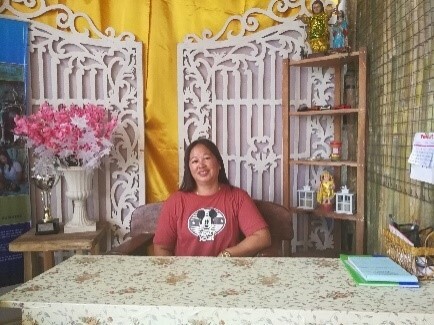 Nanay Rowena sits in her office inside their third store. As early as now, the couple is thinking of their business’ succession plan. Her two eldest sons are determined to become members of the police force, but they are setting their hopes on their youngest child to continue their entrepreneurial footsteps. Tatay Roel and Nanay Rowena are already talking to Jerald, their youngest, about the benefits of having your own business and how lucrative their business is. So far, the plan seems to be working, as they catch him arranging and designing some of their driftwood in the store. “Dire-diretso na kami. 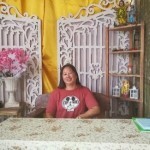 Wala nang slowing down,” Nanay Rowena confidently says, while sitting in her office inside their new store. 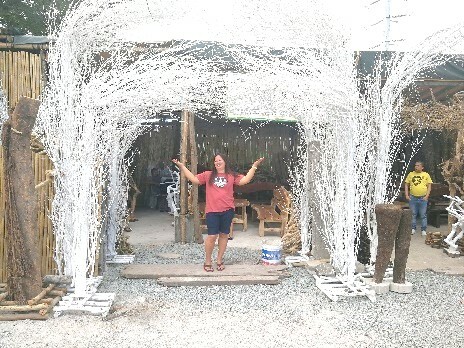 As long as trees will grow, the success of Nanay Rowena’s driftwood and event styling business, fueled by her gratitude for God, and love for her clients and workers, will grow as well.